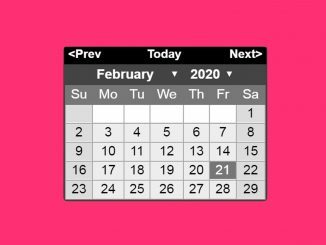 jQuery datepicker with default date. Basically, this is a jQuery UI built in datepicker, however, its can be used in core version of jQuery along with jQuery UI CSS & JS. 1. To use this simple datepicker, load the jQuery, jQuery UI Js and CSS into HTML document. 2. After this, create an input element in your form. 3. Finally, initialize the plugin in anonymous function or in jQuery document ready function.